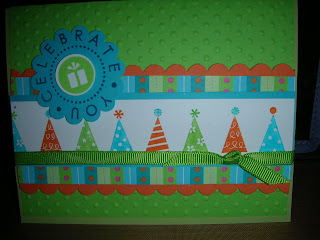 The new 2010/2011 Stampin' Up! 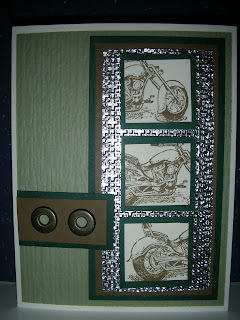 Idea Book & Catalog is available on July 1st which is just around the corner. At this time, I cannot pre-sell them yet but I can get an idea of who wants one when they are available. As I have in the past, I will be selling them for $5 each. Customers who hosted a workshop from me in the past year will get theirs free. 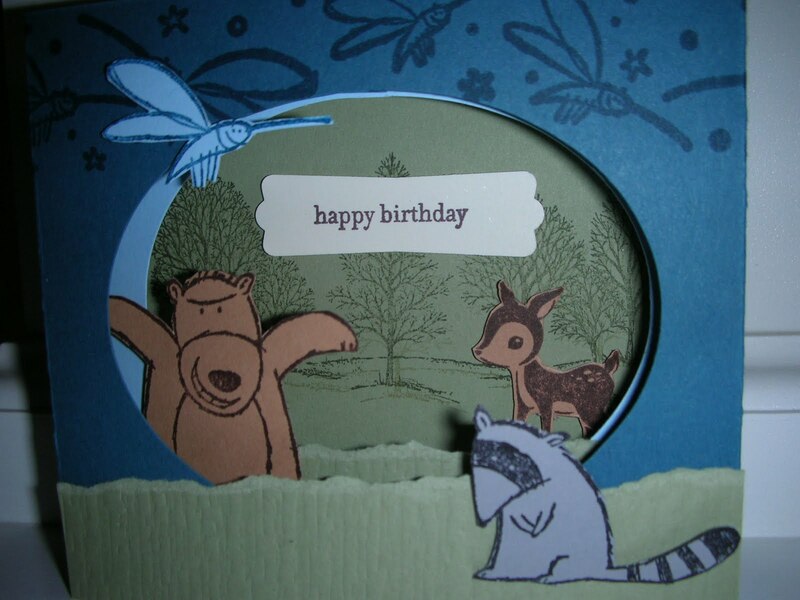 Even if you are eligible for a free catalog, please send me an email to let me know that you would like a catalog. 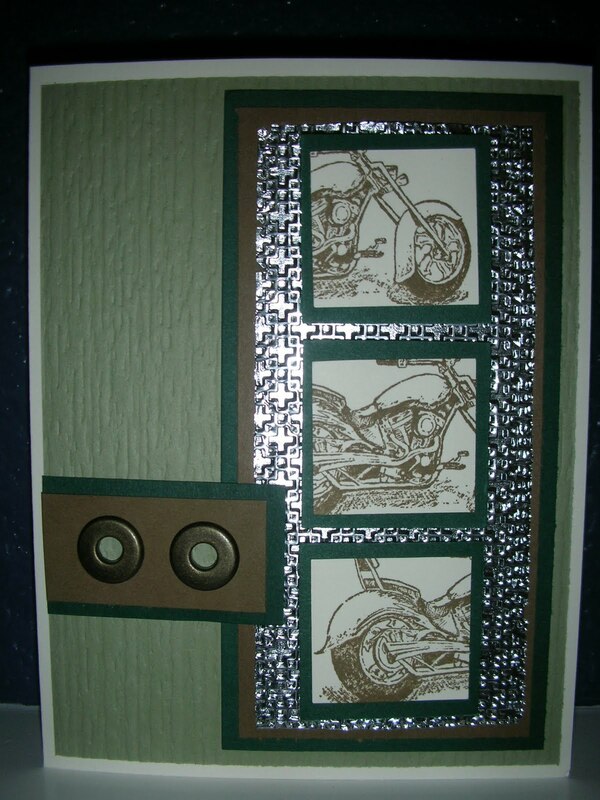 I will let you know more details in June when I can begin taking orders for the catalog. Thanks! 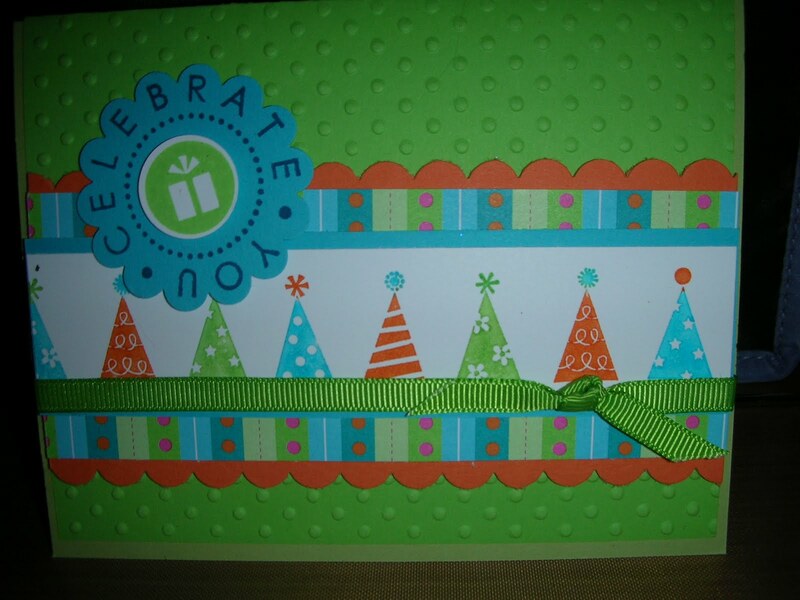 Tuesday was Stella's downline meeting and this is the card that I took to swap. 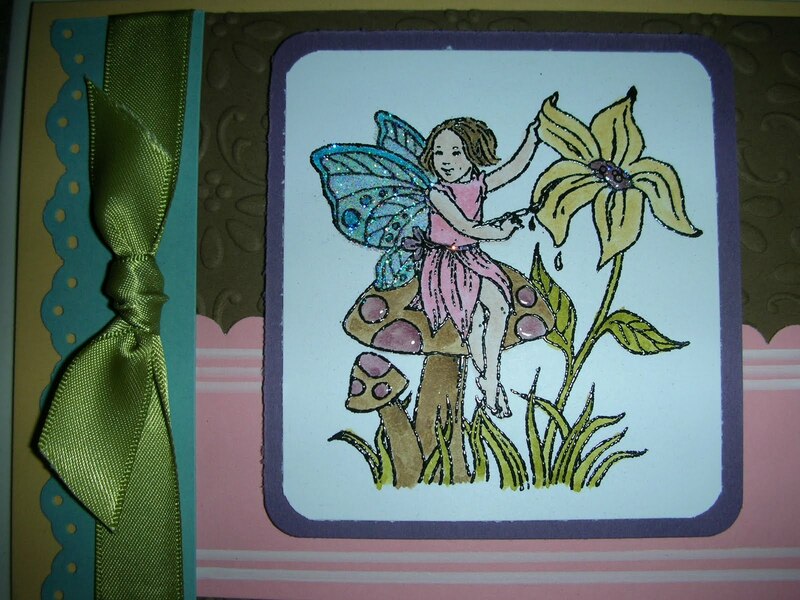 I think the Little Bit of Magic stamp set from Stampin' Up! 's Summer mini catalog is just so cute! What do you think? 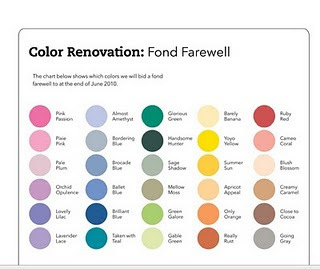 I am having lots of fun using the new Color Renovation colors - I have even rearranged my craft room already so I know what colors are staying around and which are going. I came across the inspiration for this card on Stampin' Connection and fell in love with the flower. To make the flower, click here for a video from Dawn Griffith. 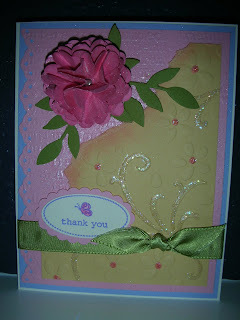 For my flower, I used Stampin' Up! 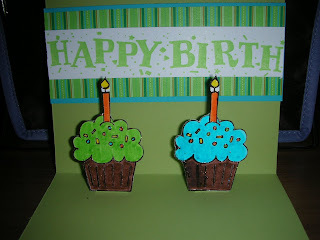 's Scallop Punch and only used five pieces instead of eight. Also, instead of just spritzing with water, I dipped them in a mixture of a little bit of water and 3-4 drops from a reinker. 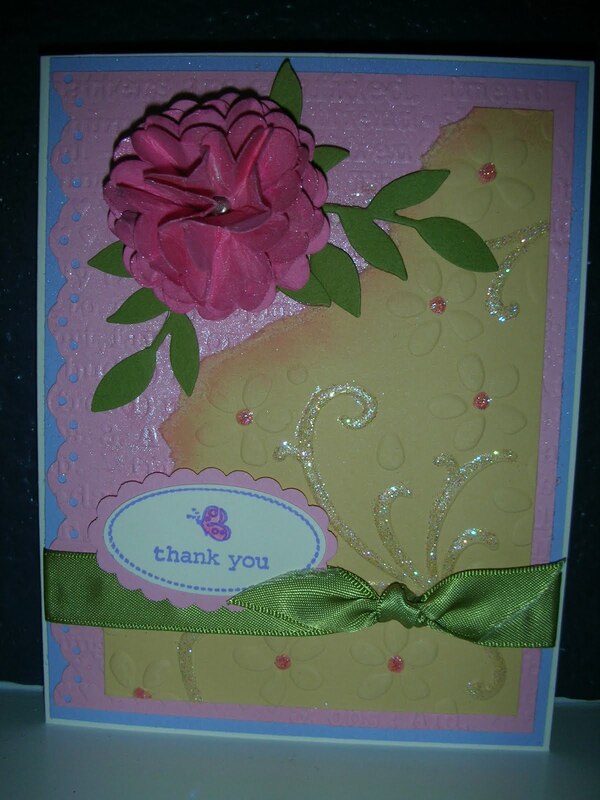 I used Pretty in Pink cardstock and a Rose Red reinker for my flowers to give them a bit of depth.